One of the fun things I have learned from this lovely book, Little Crochet: Modern Designs for Babies and Toddlers, is that sock yarn can be very useful for making baby stuff. It is a light enough weight and you get a lot of yards in a skein. One of my challenges in crocheting, though, is that I crochet very tightly, and while these baby legwarmers are cute, they are pretty snug. They fit my doll’s legs, but I’m not sure about a chubby, squirmy baby. I might end up undoing them, but they are pretty cute. 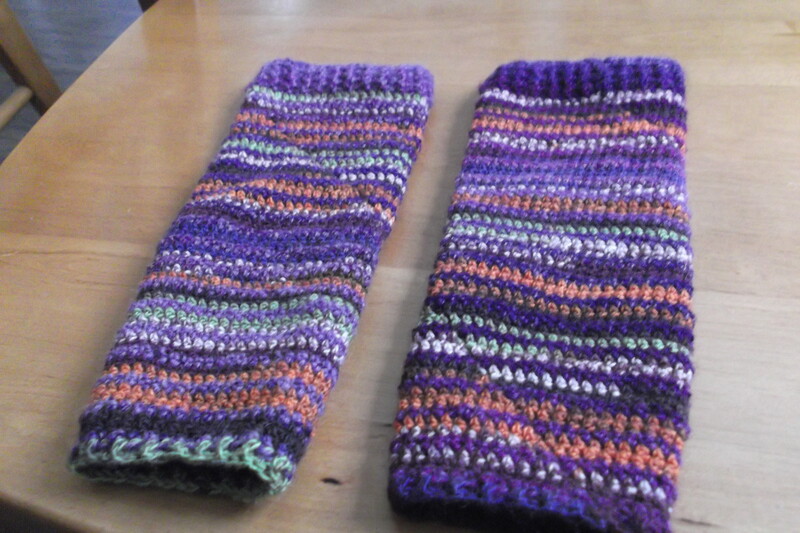 I used two different yarns, a variegated purple and a multicolored one, and did stripes, an effect I also enjoyed. 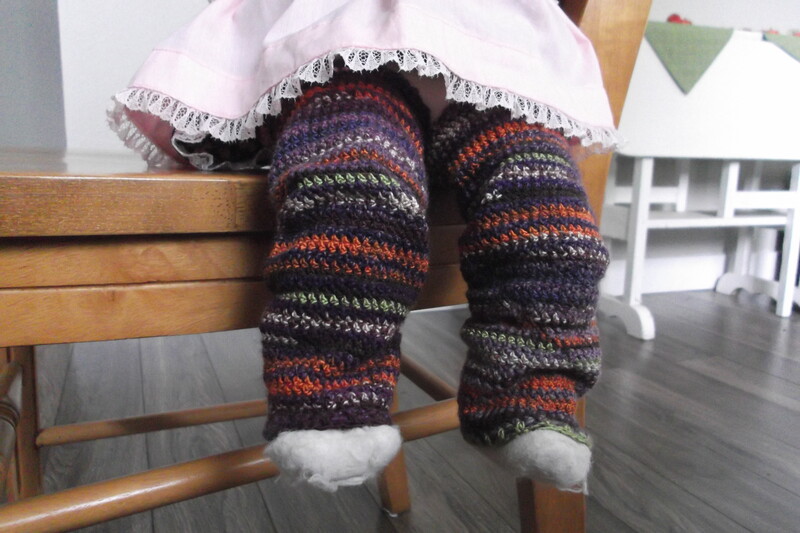 This entry was posted in Crochet and tagged baby, legwarmers, sock yarn. Bookmark the permalink.